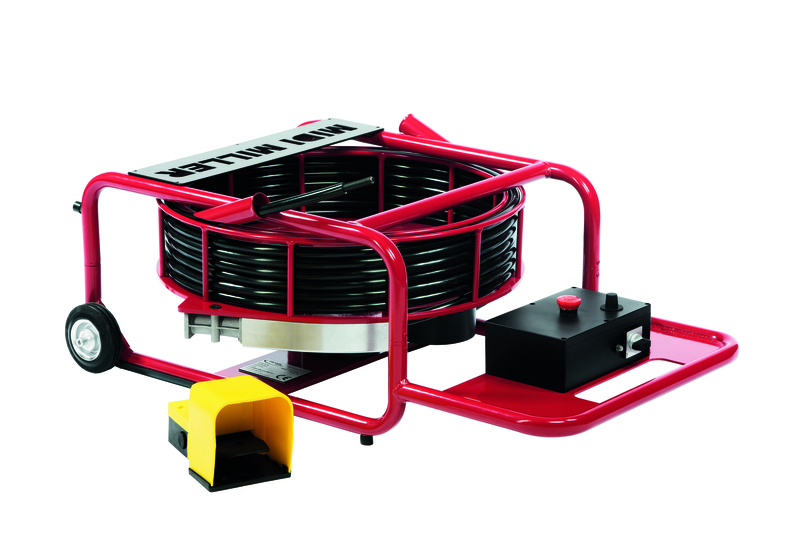 With 39' of 1/2″ cable, the Midi-Miller is suitable for drain cleaning, pipe cutting or powering the Smart Cutter and Twisters inside diameters 3.00–8.00″. An adapter for 1/3″ shaft is available for 2.00″ drains. The Midi Miller also features an electric motor and safety clutch. With a push/pull system and stair glides for easy transportation the Midi– Miller is a great all-round machine.